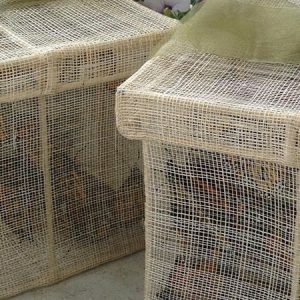 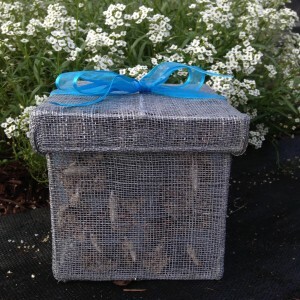 This package includes 100 Painted Lady butterflies in two handsome sinamay release boxes. 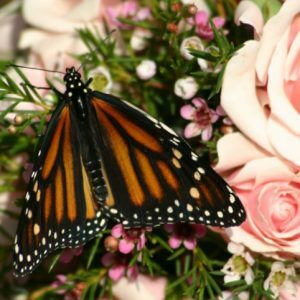 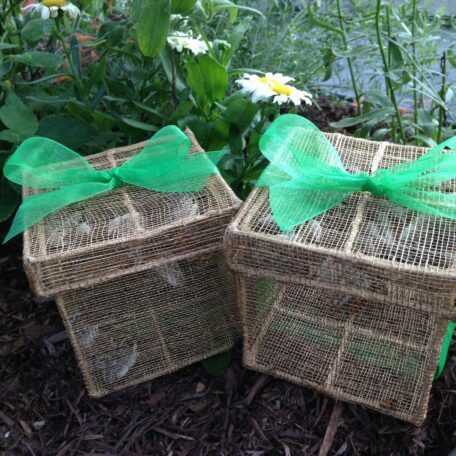 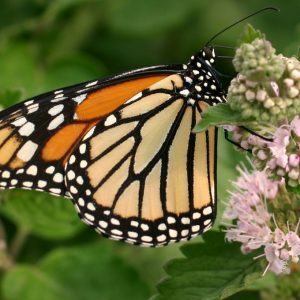 A Painted Lady butterfly release is an affordable and lovely option for your special event. 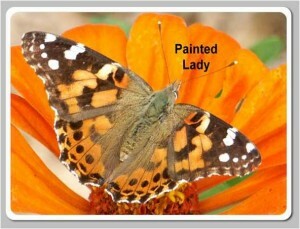 Painted Lady butterflies are small, friendly butterflies with a lower flight pattern and often fly away quickly when released but they are also known to linger near the release site and even land on people! 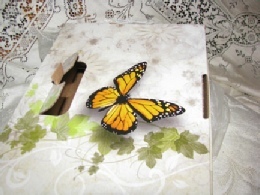 The butterflies are packaged in two sinamay release boxes and are ready to release so you do not have to transfer them. 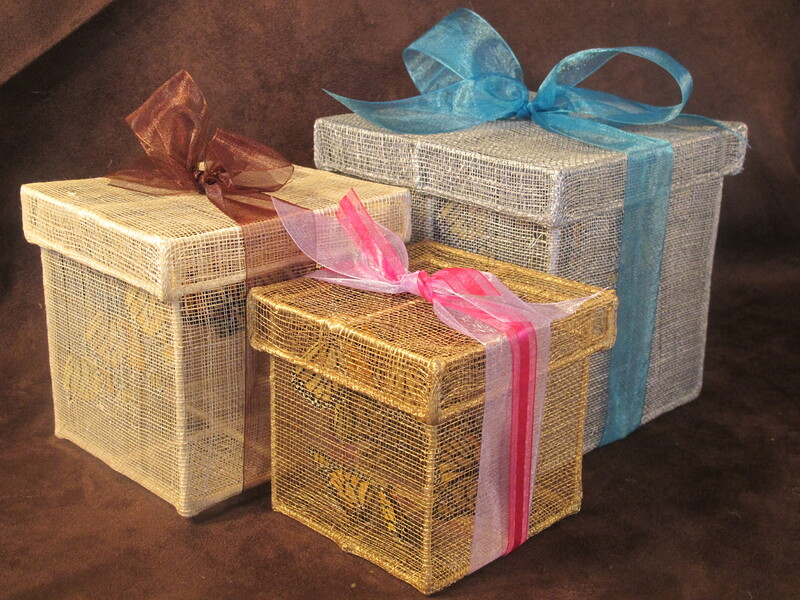 Select from gold, silver, or natural for your boxes and indicate the ribbon color you would like for ornamentation at checkout. 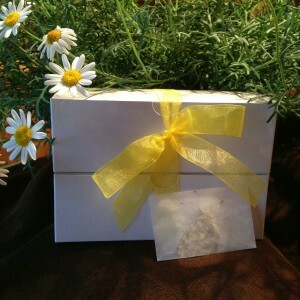 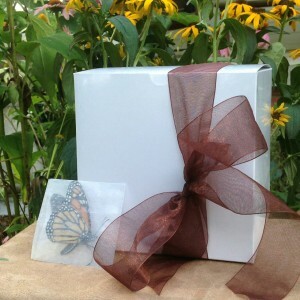 This package includes 50 Painted Lady butterflies in a handsome sinamay box. 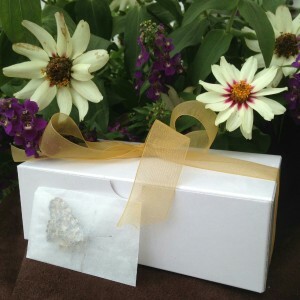 The butterflies are packaged in the release box so you do not have to transfer them. 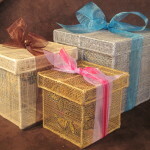 Select from gold, silver, or natural for your box and indicate the ribbon color you would like for ornamentation at checkout.